4.Dissolve sugar in some water and keep it aside. 7.When it first begin to boil(bubble arises) add the sugar dissolved and mix well. Babies above one year can be given this very occasionally. Best would be to even reduce the sugar level. 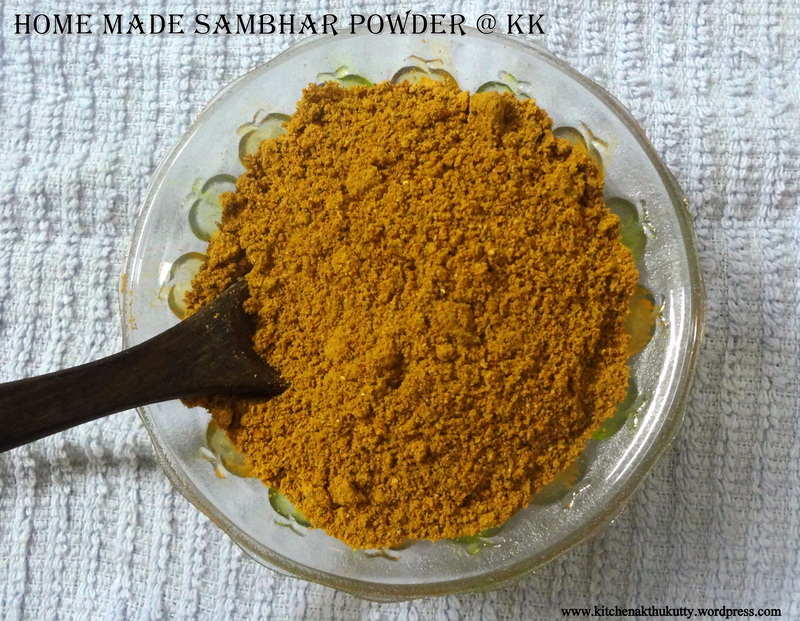 Do not forget to stay tuned with me by following by blog here and liking my facebook page at www.facebook.com/KitchenKathukutty. Do share this with your kith and kin.Kindly avoid sending requests in any social networks . I am sorry,I might not accept them due to certain privacy concerns. 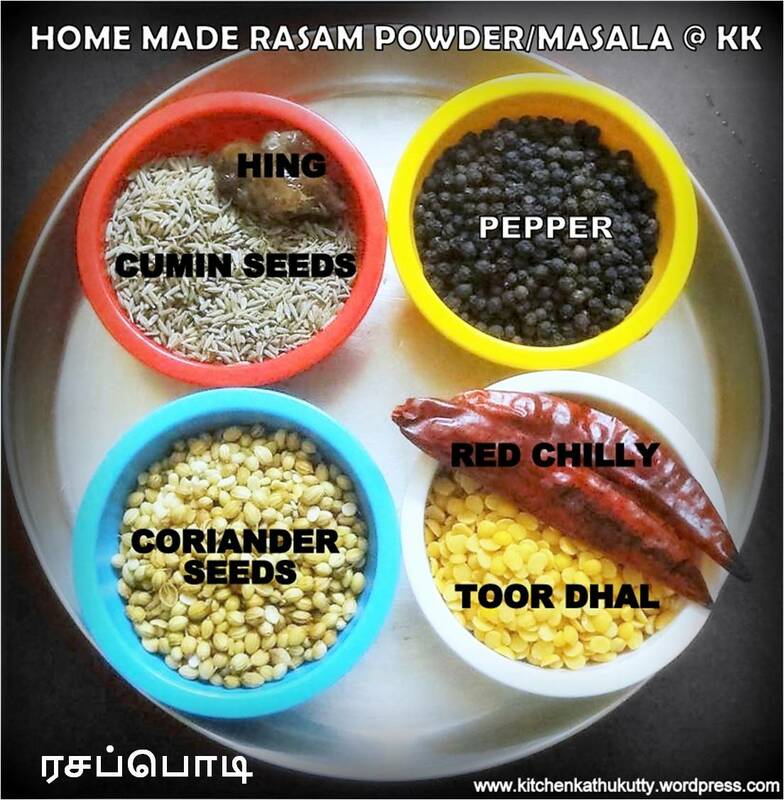 For any queries you can always write to me @ kitchenkathukutty@gmail.com or message me through www.facebook.com/KitchenKathukutty. Thanks for the understanding and support. 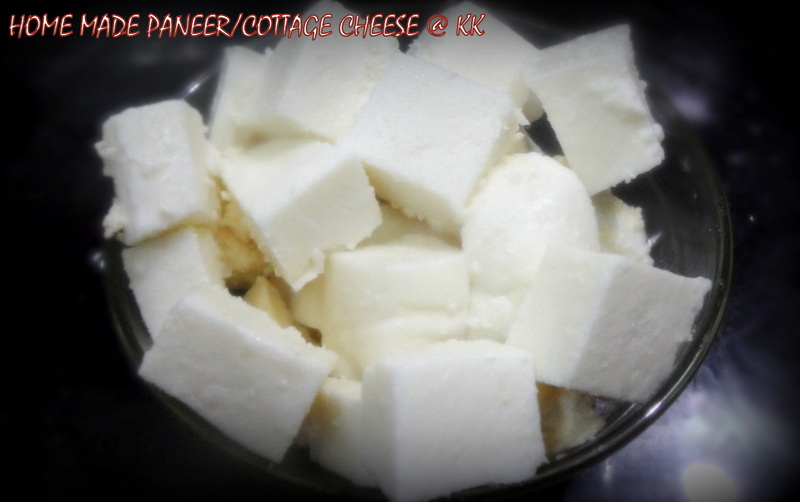 Paneer/cottage cheese is a rich source of calcium,protein,vitamin B12,selenium,Vitamin D and Riboflavin. 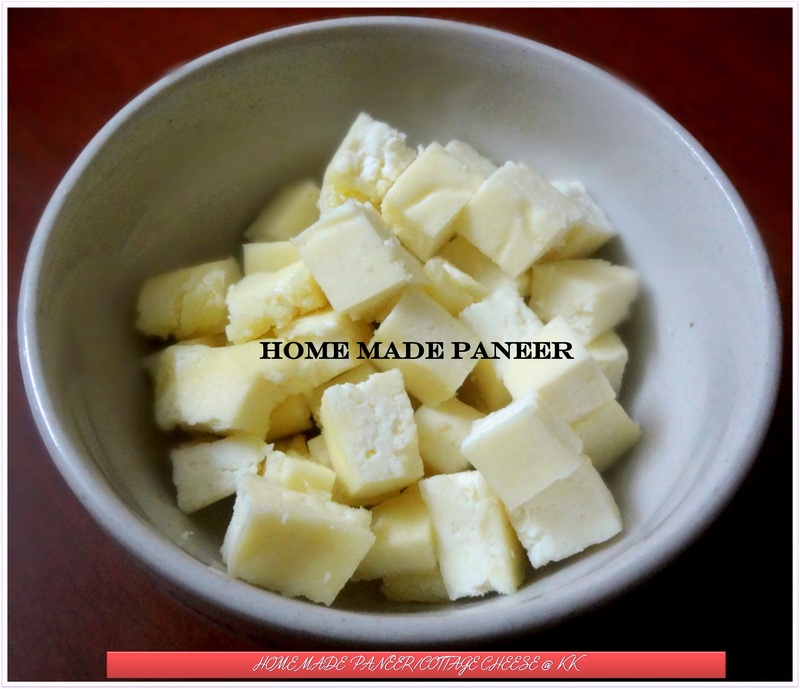 All those who are averse to milk can prefer paneer and it is such an yummy ingredient.I am so addicted to home made dishes and my trials on home made foods never ends. I have made paneer with lemon juice. But I read somehwere that curd can be used for a softer version. Hence I tried with it. Here is the recipe in 2 methods.I did this as finger food for my LO.Paneer can be your baby’s finger food for babies since 8 months.You can add crumbled paneer in purees,blend with purees,add to salads,stuff with dosa,apply on toasts,garnish with macroni for your babies. I did it fresh and consumed the very same day.You can refrigerate for a maximum of 15 days. 3.Keep stirring in slow flame until the whey completely separates. 4.In the mean time place a large filter over a vessel and place a white muslin cloth in the filter. 5.When the whey is completely separated switch off the flame. 6.Pour the curdled milk in the filter slowly and carefully. 7.When the water is completely drained wash the whey in flowing water if you have added lemon juice. 8.Tie the cloth in a elevated place and place a vessel beneath. 9.Let it hang for 2 hours. 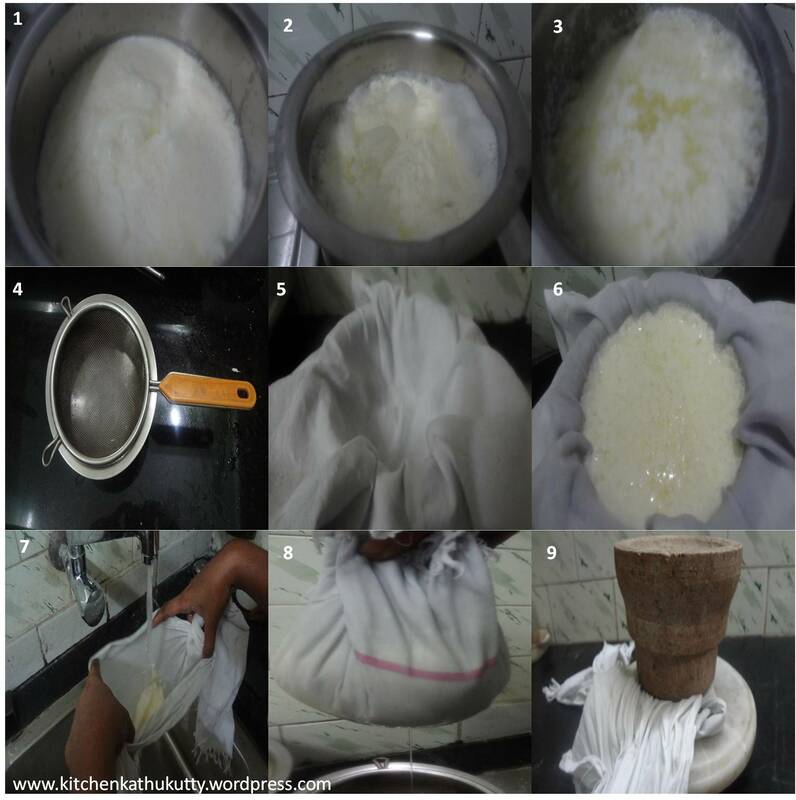 10.Now place the cloth,with the whey on chapathi maker and roll it evenly with pressure or use a heavy weight to flatten it. 11.Place a heavy weight(I used my mortor and pestel/iron dosa tava) for 6 hours. 12.Once it is set,remove from the cloth carefully and refrigerate for one hour . 13. Do not freeze. After that you can cut into pieces and store in a container. 14.Whenever you wish to use,remove it from the fridge and bring to room temperature and cool it and use. Chop into small pieces so that gravy gets absorbed easily. I chopped lengthwise for finger foods. You can use vinegar also instead of curd or lemon. Skip step 7 if you have used curd. 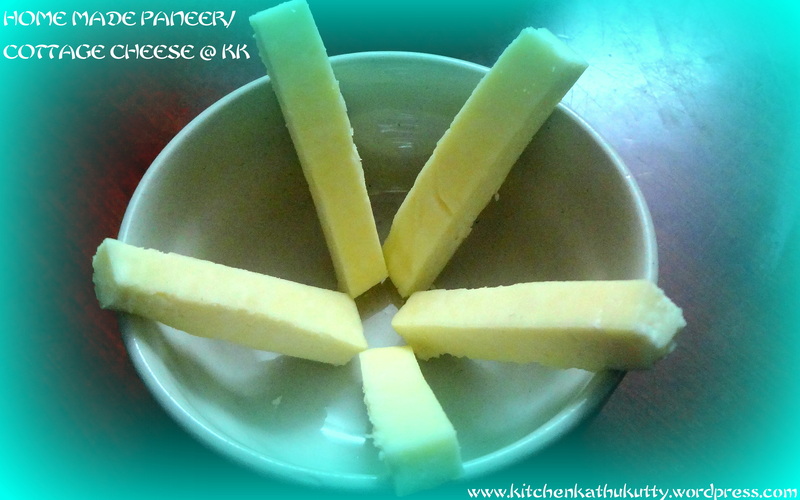 Better to flatten the paneer into a circle so that chopping is easy and waste is less. 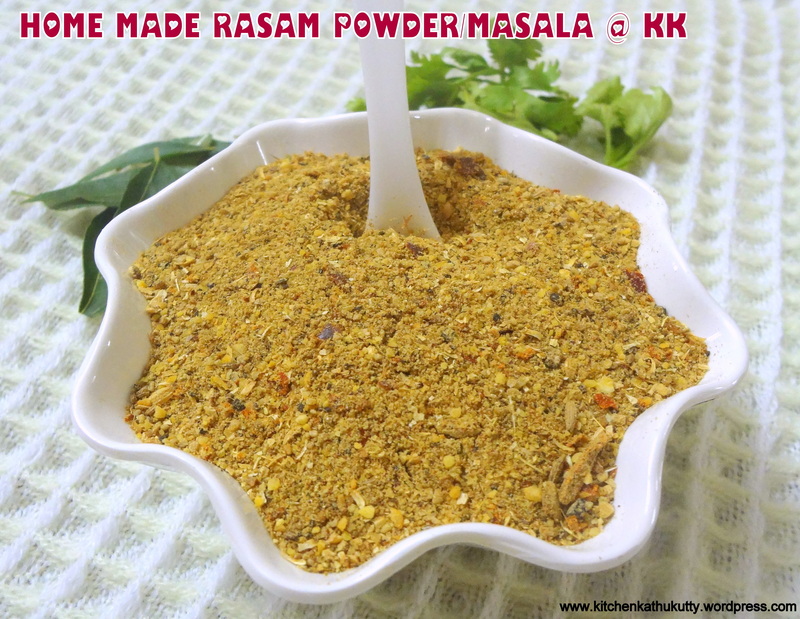 I use the corner pieces as crumbled paneer in burji recipes. I make it one day and use it the next day. You can store in refrigerator for 2 weeks. The images above are from curd with milk and images below is with lemon juice. Cottage cheese is a great source of calcium, which is helpful in maintaining strong teeth and bones. Due to its low lactose content, it protects the teeth against harmful sugars. Cottage cheese contains Vitamin D, which along with calcium, facilitates in preventing cavities and wearing down of the tooth enamel. Hence, regular consumption of cottage cheese is helpful in preserving good dental health. Intake of cheese prevents osteoporosis that is caused due to the deficiency of calcium. Osteoporosis is common in women undergoing menopause, elderly people and children suffering from malnutrition. Cottage cheese is a rich source of protein, calcium, and vitamins which are necessary for proper bone health. Vitamins B complex, present in cottage cheese, are essential for the formation and strengthening of cartilage in children, women (pregnant and lactating) and men. These dairy products also facilitate proper absorption and distribution of calcium in the body and provide protection against diseases such as beriberi. For people who are underweight, cottage cheese helps you put on those extra pounds. It contains generous amount of proteins, fats, calcium, vitamins, and minerals, which help in boosting weight. The presence of conjugated linoleic acid and sphingolipids in cottage cheese makes it effective in preventing cancer. Cottage cheese is also known to enhance blood formation, strengthen the liver and facilitate absorption of nutrients. 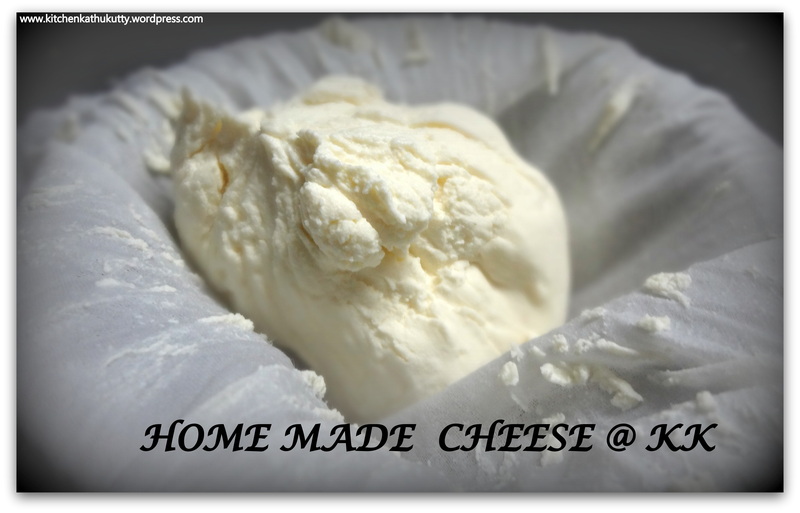 HOME MADE CHEESE-How to make cheese at home without preservatives? I never thought I would attempt to do this though i always prefer 100% home-made foods. A facebook group baby food recipes has been my constant motivation to try this recipe. I was hunting for homemade cheese recipes and one of the members Esd Mahendra suggested me a recipe but it had soda kind of ingredients. 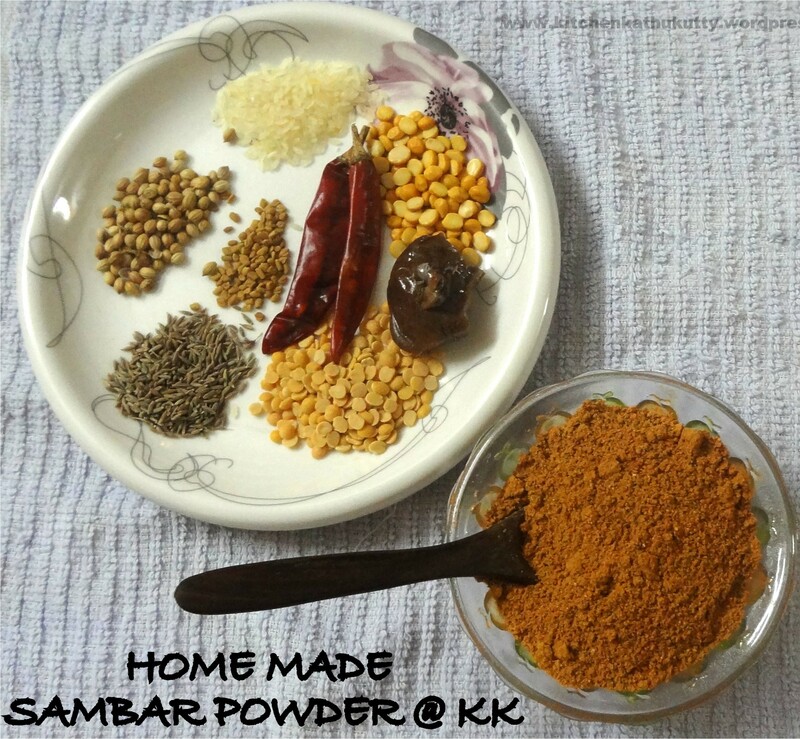 Most recipes had some artificial ingredient.Hence I planned to skip those and give a try. It came out well. But it doesn’t taste like store bought one. 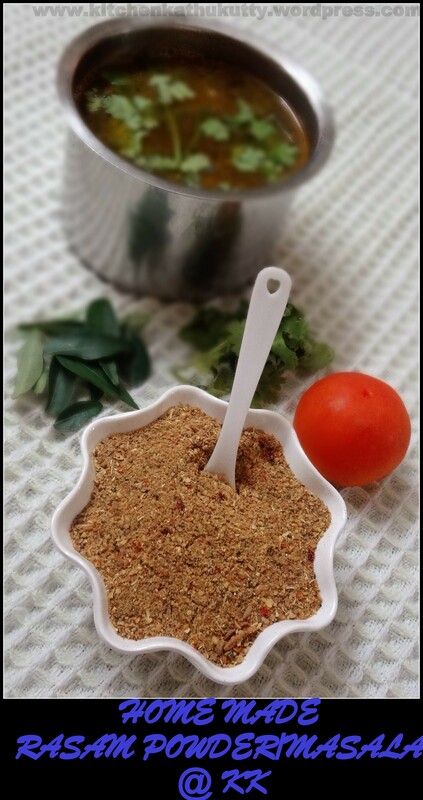 You can crumble and use in cheese paratha or make a spread in your bread/sandwich/cakes. The search doesn’t end with this post. I am looking for better versions. 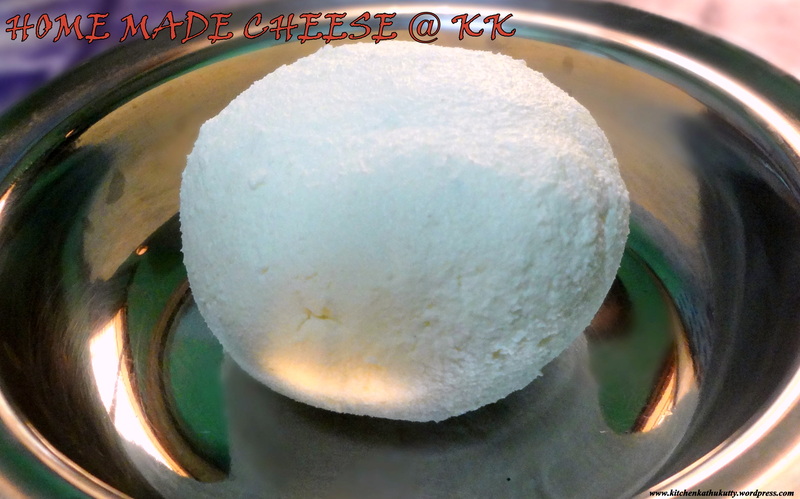 This resembles making of paneer and also tastes similar to paneer(cottage cheese). But they are different recipes.Cottage cheese or paneer making is stopped with step 7 and pressed whereas in cheese we go even further. Ricotta cheese is made this way and few add vinegar and salt to this. I skipped salt since I didn’t store for a long time. This is definitely safe for little ones and please have a word with your pediatrician on when can this be given. 1. Bring milk to boil and add lemon juice. 2.Mix the juice well and keep it in medium flame. 3.The milk will curdle and water separates from cheese. 4.Switch off now and keep it aside. 5.Now place a muslin/white cloth on a filter and pour this curdled milk. 6.All water would have got drained. 7.Take the cheese in the cloth and wash in water to remove the lemon flavour. 8.Tie the cloth and hang for 15 minutes. 9.Add that cheesy part and 1/2 tbsp of curd to a mixer and blend well. 10.It would become soft and mashed. Collect this in the cloth and hang for around 6 hours. 11.Place a bowl below the cloth hung to collect water dripping. 13.After 6 hours,you can open it and transfer to a bowl. 14.Refrigerate over night. You can use this up to one week. 15.Bring to room temperature and use it. I used full fat cream milk. Wash the cheesy part in flowing water or else the lemon tinge stays strong. I was not able to roll it into slices and make it as cubes. Hence I just made a ball and stored it. Kindly stick to the timings for hanging/refrigeration as it is essential for a soft texture. Let not your curd be too sour. Choose a ripe lemon to extract juice. The colour and look depends on the quality of milk. Since it doesn’t thicken like store bought ones i was only able to crumble it and not scrap or grate for use. Please have a word with your pediatrician before introducing any new food to babies.